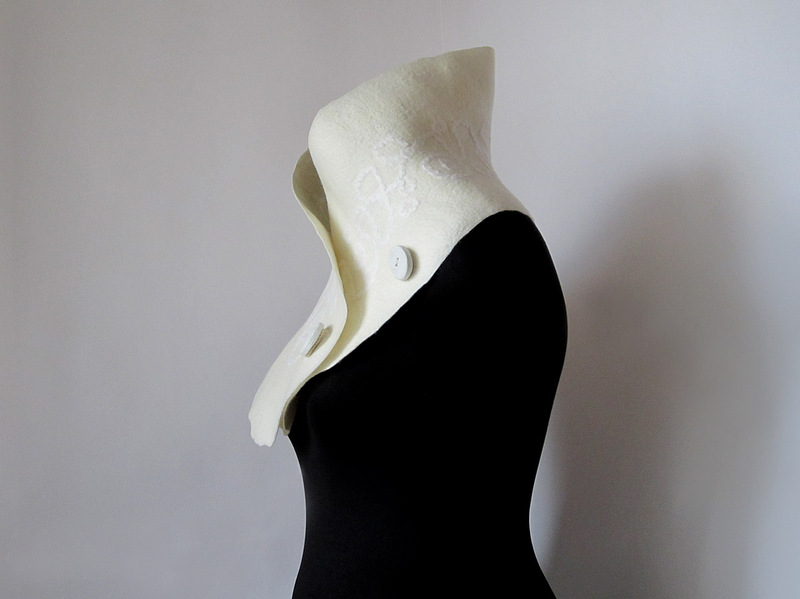 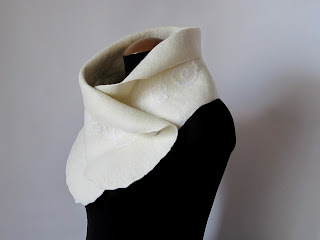 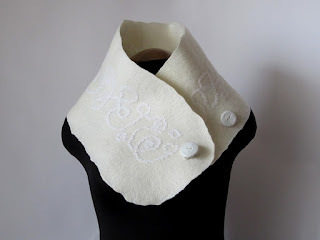 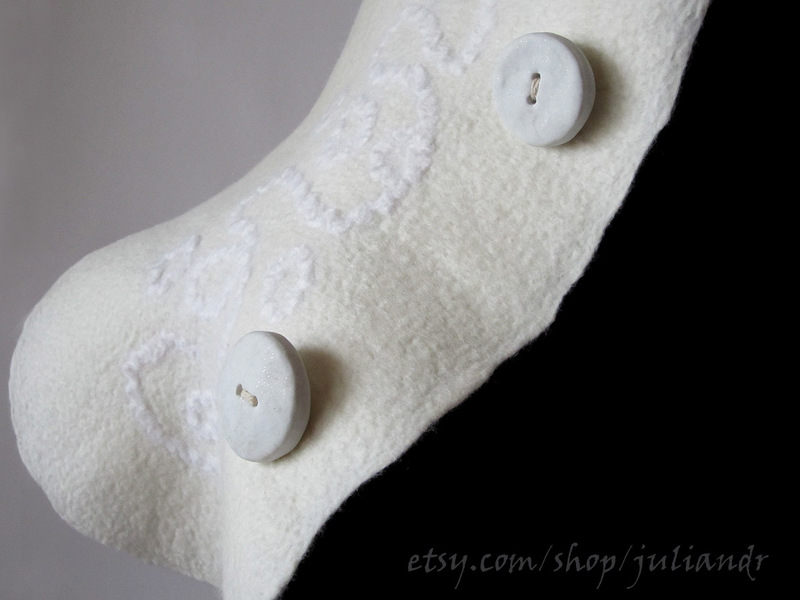 This classy neckwarmer was made of undyed ivory superfine Italian merino wool, very warm and cozy, it's texture very soft and delicate, decorated with crispy white woolen yarn. 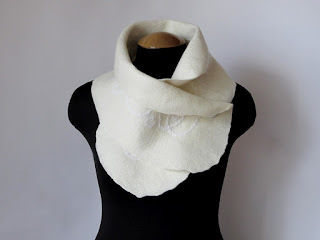 The color is mild milky white. The scarf has two chunky polymer clay buttons handmade by me, so you can wear it in many different ways, as shown on the pics. Approximate measurements: 102x22 cm -- 40,1"x8,6".